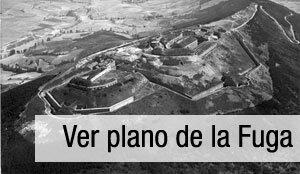 On May 22, 1938, when the Spanish civil war had long started, almost 800 Republic loyalists prisoners from the San Cristóbal Ezkaba fortress, in mount Ezkaba, next to Pamplona, led a flight towards the nearby French border, which has no parallel in European history. 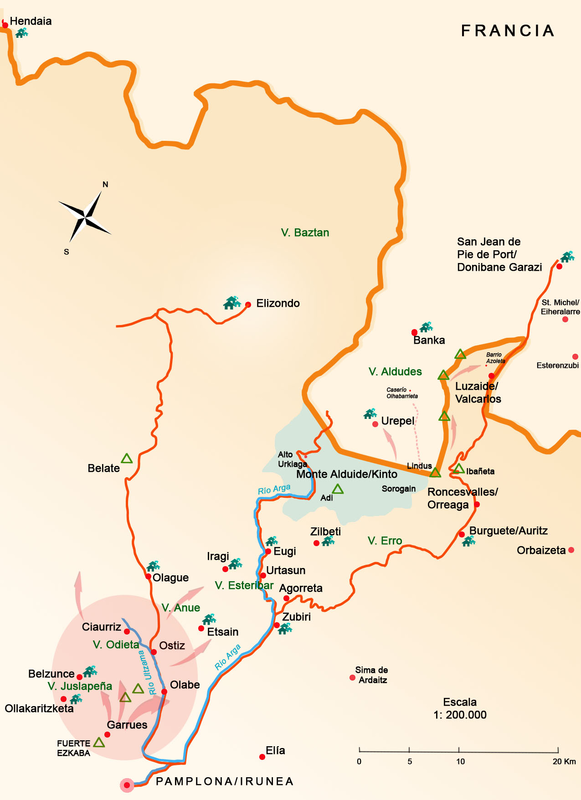 The relentless pursuit of Franco´s side led to the execution of 206 those escaping, and the remaining ones were captured, with the exception of three escapees who achieved their goal, after an epic flight. Together with these three documented fugitives, a fourth one, unidentified, could have reached the border, and from France, through Mexico, arrived to California and started a new life. In March 1997 an elderly stranger arrived to two of the villages situated in the path between the fortress and the French border and also at the fort main gate, asking about the whereabouts of his flight-mates, who were shot. He introduced himself to at least eight villagers as one of those who managed to reach France. His account of the facts has been proven at several points, but is not enough to find his identity. He introduce himself coming from a poor family, whose father tried to hide before the military coup of 1936, but was captured and shot, leaving a widow and one more daughter. The stranger, imprisoned at the fortress while being underage, was involved in the evasión of May 1938, losing his companion on the road and arriving to a farmhouse in Banka, at the other side of the border, wounded in the arm. The good Samaritan shepherd who helped him, Martin Urrels, had two brothers, Michel and Jean/John, also shepherds in Cedarville, Modoc County, California, close to the Nevada´s border and Reno. Once recovered from his wound in the arm, the fugitive arrives to Mexico and then to California. He returns to Europe serving as a tanker for the U.S. Army. So, he was a veteran. He was probably related to the basque comunity in Cedarville, Surprise valley, and Reno, their boarding houses, shephers as Michell Carrica or Peter J. Laxague who operate the Laxague Lumber Mill until 1962, and after his son Ronald R., through the Laxague Brothers Lumber co., yet in Cedarville. He was nationalized as a U.S. citizen, and later set a logging truck company, that once retired is continued by his children. He lived in Chico, Butte County.